that was modeled after a Saturday afternoon serial. The Hoth battle, the asteroid chase, Vader force-choking British underlings, and Billy Dee Williams. The list goes on and on. The perfection that was put onto celluloid here is clear when viewing The Phantom Menace and Attack of the Clones. 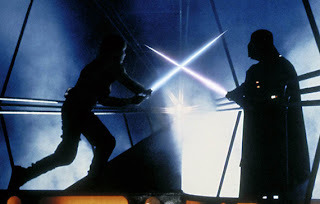 While these newer films blaze with artistic imagery and an incredible sense of CGI wonder, Lucas neglected to write stories that were interesting as a stand-alone project and delved even further into cringe-inducing dialogue that would make a Billy Goat puke. Empire is Oscar-caliber by comparison. 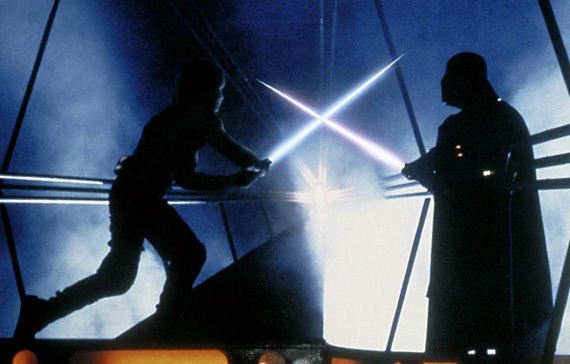 The ultimate moment between Darth Vader and Luke fighting on a platform in Cloud City has come to epitomize all that is remarkable and worth-while in this created universe for me. And the movie has Boba Fett. Nuff’ said.